10 Days Everest Base Camp trek is certainly one of the most famous treks in the world that fascinates everyone who does it. The short Everest Base Camp trek is completed in 10 days, which will be an experience of a lifetime. 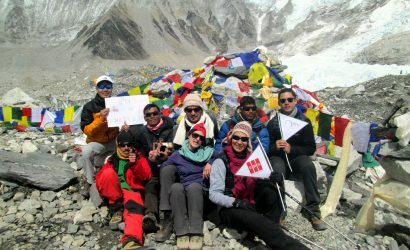 For those who are limited by time and has only 10 days for Everest trekking, then this is the best option. We have designed this trekking without any extra days in the Himalayas so that trekking up to the Base Camp is possible which saves your time and trekking cost. 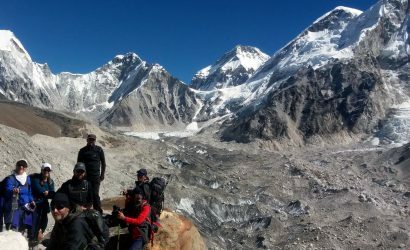 This EBC 10 days trek is suitable all adventure lovers, which is another version of Everest Base Camp Trek and can be completed in just 10 days. As a whole you can enjoy almost everything of regular EBC in fewer days. But never forget that, this 10 days trip exclude Kathmandu arrival, departure and spending a day in Namche bazaar. You will begin and end your trekking from Lukla. During this trek you will explore different beautiful landscapes, stunning view of Mt Everest from Kalapatthar. 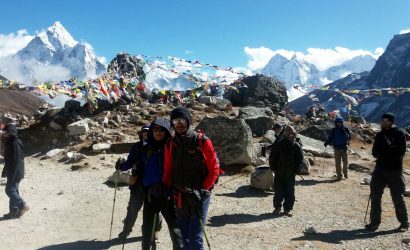 This 10 days Everest Base Camp trek is great replacement of regular 15 days Everest Base Camp trek as it offers you almost same natural beauties as classic EBC trek. After you arrive to Lukla by domestic flight from Kathmandu you will take short rest. During flight you get awesome views of stunning mountains. After your rest you will trek to Phakding by following the Dudh Koshi River and cross a suspension bridge. The trails is full of Chorten, Mani stone and prayer flag. After tiring first day trek you will spend a night on Phakding. After long day trek you will reach Namche Bazar. There awaits the sight of golden mountains at the sunset that will surely amaze you. You do not bother in resting rather you enjoy the beautiful view at the time of sunset. You will be staying a night at Namce Bazar. On the third day our trekking journeys starts early (around 6 am) through narrow path. The trail offers you the amazing views of Mt Amadablam, Mt Everest Mt Tawache, Mt Thamserku and many more. After few hours of walking through the rhododendron forest you will reach at the hill top village of Tengboche is popular due to largest monastery. You will rest here for a night. The fourth day trek starts with descending through the rhododendron forests and then some steep climbs. You will need to climb many mani stones before reaching to Pangboche. Then, from Pangboche following the trail, you will ascend to Somare from there to Orsho and finally to Dingboche. Meanwhile, on the way to Dingboche you will observe lots of yak grazing, as it is famous for summer settlements for the yak grazing. The trail to Dingboche also offers you a stunning view of mountains like Lhotse, Amadablam. We are sure that Dingboche will fascinate you beyond expectations. On the fifth day, the trekking trail leads upward into grassland. Then you will cross the suspensions bridge to Thukla, and then a steep trek will lead you to Lobuche pass. You observe various colorful prayer flags, khagan chorten and also a cemetery ground with many memorials for those who lost their lives on the mountain. In Lobuche, there is high altitude research center which operates communication facility for rescue operation. Here also you spend a night. On the sixth day, after having breakfast, you will be trekking towards the Gorakshep over the wide trails. The trail also offers the view of the khumbu glacier and mountains. 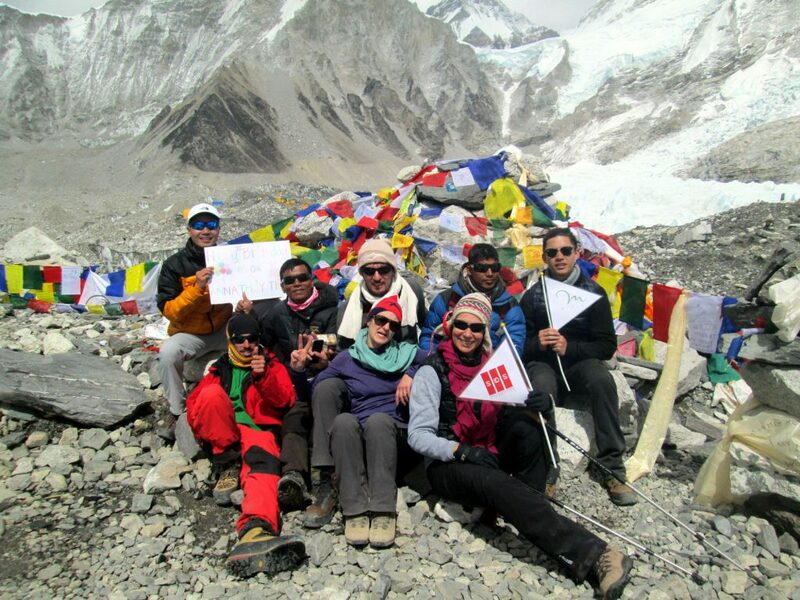 In Gorakshep, you will take to the Everest Base Camp, the most fascinating part of this trek. After spending some beautiful moment at EBC you will head back to Gorakshep for spending the night. Early morning on the seventh day, you will head up to kalapatthar, offers 360 degree of beautiful Mountain View along with khumbu glacier. From the kalapatther viewpoint you see the Mt. Everest again very closer. That might be so exciting when you are done with exploring the mountains you will trek back to Gorashep and then head down to pheriche the beautiful valley surrounded by rocky hill and mountains. Today you will trek back to Namche Bazzar following the same trail of Dud Koshi river.you will stop for lunch and tea break in different places. You will again need to follow the same trail crossing the suspension bridge and through rhodendron and pine forest ,passing through different mani stone ,chorten and stupas .After this exciting trek down you will reach the Namche Bazzar and spend the night. After a long walk of 8 hours you will reach Lukla ,on the ninth day of your trek. Lukla is a end of your trek and can celebrate you amazing achievement. You will spend a night at Lukla. Today is last day of trek, you will have beautiful flight back to Kathmandu. You will be saying good bye to magnificent mountains on reaching Kathmandu airport. From Kathmandu airport you will be transferred to respective hotel in on time. 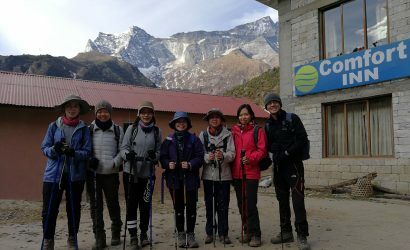 This is the trek to Himalayan Region which is followed by well-explore path & yak trails throughout Khumbu, Namche Bazzar & kala patthar the popular places included in this trek. The trekking above 3000m might become challenging. You have to be prepared for this. We have managed the trekking cost & itinerary in such a way that it would be within the range that you can afford. You should be capable of walking 4 to 6 hours a day. You must be fit and active. You have to stay 10 nights in lodges/tea houses. It is difficult to arrange single accommodation on lodges. You will get a room to be shared by two people. The lodges/tea houses are simple & atmospheric. The beds will be of woods & foam mattress. You required a sleeping bag as well. You will get washing & toilet facilities. You can change for it. Cost of accommodation may vary on different lodges. All meals are included from day 3 to day 13. You will be taken to hotel or restaurants during your stay in hotel. Boiled & purified water will be available. Bottled water can also be purchased if needed. Nepal has moderate type of climate. Basically, the weather conditions are influenced by geography. Mid-June to September is followed by rainy or monsoon season whereas, the weather will be clear and dry in Spring & Autumn seasons. Trekkers require necessary trainings & infrastructures so that it would be easy to cope with the challenges during trekking. One has to be fit, fine & healthy. If you are trained & fit, then we could help much more to make your trip secure & exciting.